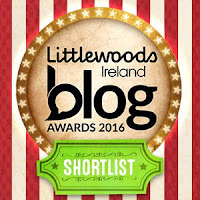 I was recently nominated for a Liebster award by Nearly Irish. If you haven't seen her blog yet, you should really check it out! 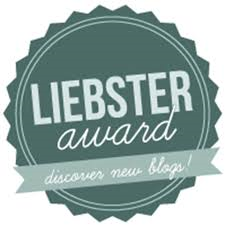 A liebster award is a way for smaller blogs to get some recognition in the blogging sphere. It's also a little like chain mail - someone nominates you and at least 4 others and they each answer questions made up by the initiator and then nominate at least 5 more bloggers in turn sending them new questions to answer and on and on it goes around the internet world! Liebster actually comes from the German word for "beloved". I was also nominated two years ago, but back then I didn't realise I was also meant to answer the set questions (I think an alternative seems to be just listing 10 facts about yourself). So this time I'll do it properly! Just one thing? Then it would have to be a box of Barry's tea bags. German tea just isn't the same or as good so it's comforting to have a taste of home! If I have lots of room in my suitcase then I also pack Tayto's cheese & onion crisps and McCambridge's irish soda bread. And recently I've also been bringing over Odlum's brown bread and scone baking mixes. 2. What is the most unusual question you've been asked about your expat experience? And what did you answer? That's a tricky one actually. Nothing too crazy springs to mind. The questions I hear most frequently are; why did I come here? Why did I leave Ireland? Do I get homesick? How long am I staying? Am I a student / studying here? I suppose I always find the student question a bit unusual, as it surprises me that so many Germans assume I'm only over here to attend university and don't consider the fact that I could be working and living here. 3. What do you miss most from your home country? The people! I miss being able to see my family and meet up with my friends more often. From living in Dublin I miss the fact that there's always something going on - shows, musicals, festivals, concerts and new interesting restaurants and bars opening up. And also that you don't need to go that far to see lovely sights - a walk along the Dun laoghaire pier, Killiney Hill, or the Wicklow mountains. And I miss just being near the sea, even though it's often too cold to swim! And even the small towns have stuff going on, a local pub at the very least. Here a lot of the suburban areas don't have much so you need to go into town for pubs and restaurants. 4. What cultural or lifestyle aspect of your host country did you embrace straight away? Beer garden culture springs to mind. I love that there are so many outside places where you can sit and have a coffee or a beer in the sun. Also there are more outdoor activities in general such as cycling and hiking. It's a healthy lifestyle. 5. What local custom or tradition surprised you the most? Hmmm. That they celebrate Christmas day on Christmas eve! I'm still getting used to that! Instead of celebrating Christmas on December 25th like we do with the presents under the tree which Santa put there the night before, here the Christkind comes on the 24th of December in the afternoon to leave the presents. That took some getting used to. Fasching was also totally new to me. That's a festival which takes place normally around February or March when people dress up and there's a big parade. Thanks! Yeah cycling is definitely pushed over here, I don't know anyone who doesn't have a bike. I know, I thought that Christmas would be the same, it didn't occur to me beforehand that it could be so different in other places! Scone baking mix? But scones are pretty much the easiest thing ever! I know, I'm just a lazy baker and find those baking mixes really handy! Thanks for the nomination as well! I love the list of things that you bring back to Germany from Ireland. I will write lists months in advance of things I'd like to bring to Germany from Canada. I usually pack as light as possible so I can bring more things back to Germany with me! I love this post (here from IComLeavWe)! I've been reading a book where the main characters are first generation Indian immigrants and their children, and what strikes me the most about the book is how, even after years of living in America, they go back to Calcutta and are surprised by how much has changed. For them, Calcutta has always remained a fixed memory. yeah the longer I've lived away from Ireland, the more it can seem different whenever I go back compared to my memory of the place. It can be a strange experience when you realise you've had a different idea in mind. Though the fact that I often go back several times a year probably helps me keep up with the changes. Great questions and answers! I really enjoyed learning more about you and your experiences! We're not joined at the hip, you know!